If you have a local Hart store, you may be like me and not even think of visiting it. But they have been making a real effort to modernize the brand with social media accounts and now a loyalty program. 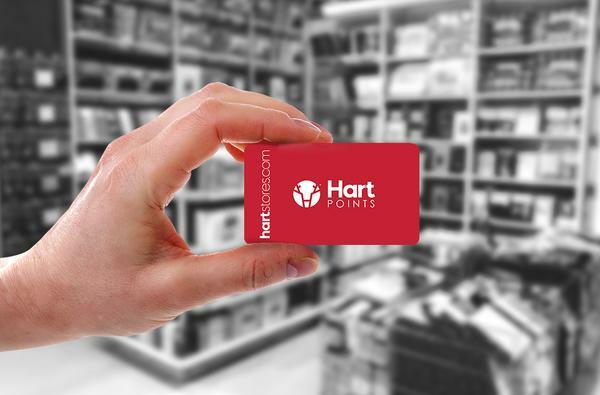 Hart Points rewards you with a base of 1 point per dollar spent but similar to other loyalty cards, will have in store bonus offers to help you earn points. Each 250 points is worth $5 off your purchase. Sign up now by picking up a card in store and activating it online to get 100 point bonus to start you on the right track to a discount. You will also be entered to win 5000 points worth $100. The card also entitles you to store specials and exclusive gifts with purchase. So even if you don’t think you will spend enough at Hart to make it worthwhile having a card, it may be worth getting one just in case. Sign up for Hart Points here. Lots of variety to choose from. can’t seem to register my new Hart points card. Cannot register my points cart. We were wondering if we can apply online for Harts reward card. The store in Welland Ontario is all out of them. And the cashier suggested I apply on line. Cannot activate card. Is there a phone number to call? ?